More than three-quarters of all internet users in Norway are active on Facebook, making it far and away the most popular social platform in the country. 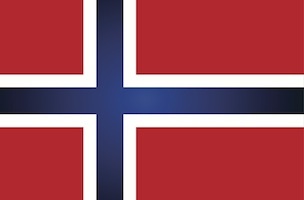 Indeed, and of note, Facebook’s 61.1 percent penetration rate in Norway is the highest in the world, reports eMarketer, citing research from Ipsos MMI. Twitter, meanwhile, is used by 23.6 percent of Norwegians, which is behind both Google+ and LinkedIn, and only a whisker ahead of Instagram (23.2 percent) and the fast-advancing Snapchat (21.2 percent). Snapchat almost doubled its user base between spring and fall 2013, while Instagram (+37.7 percent), LinkedIn (+22.3 percent) and Twitter (+11.8 percent) also made decent gains.